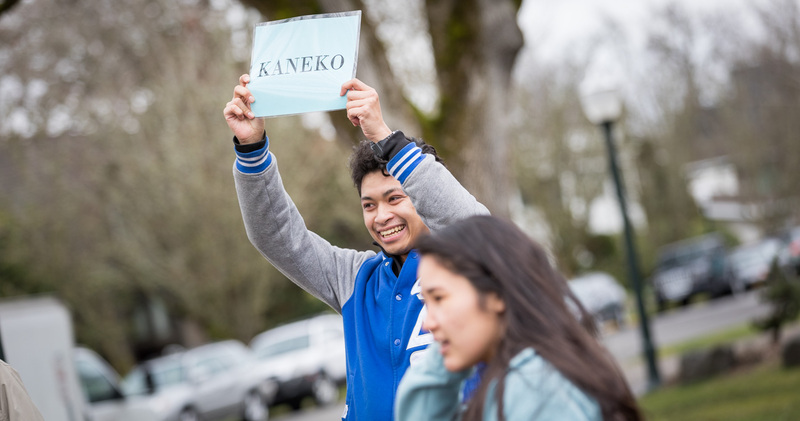 Willamette community members cheered and held welcome signs, as students from Tokyo International University (TIU) disembarked from three busses parked near Hatfield Fountain on Monday. 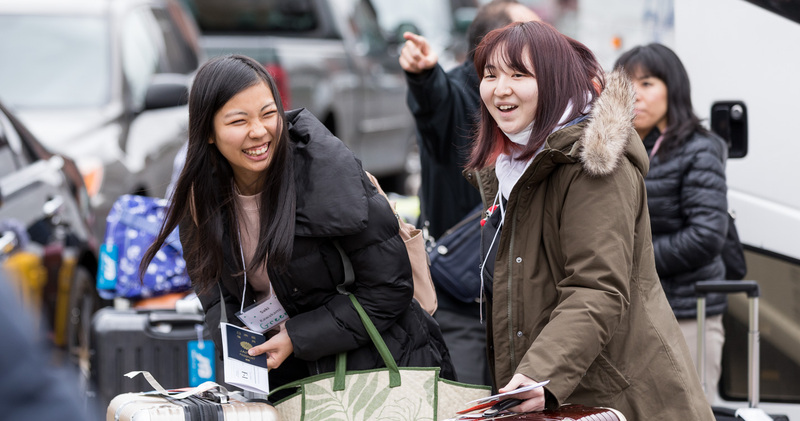 Some Bearcats unloaded bags while others ushered the TIU students, members of the 2019 American Studies Program (ASP) class, from the chilly February gloom into the University Center to begin their weeklong orientation. 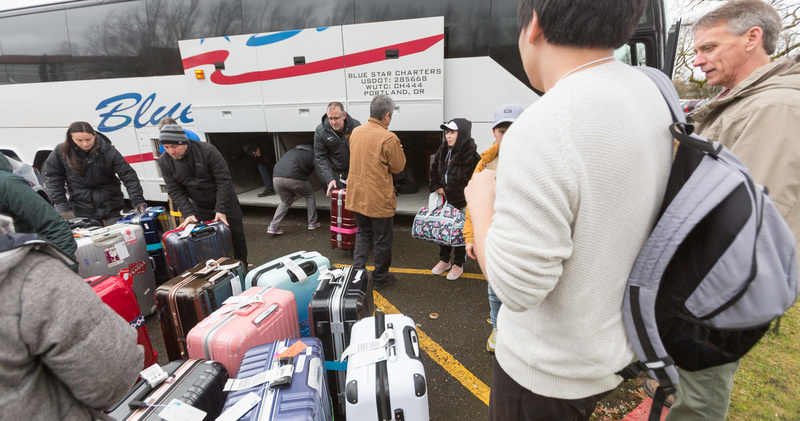 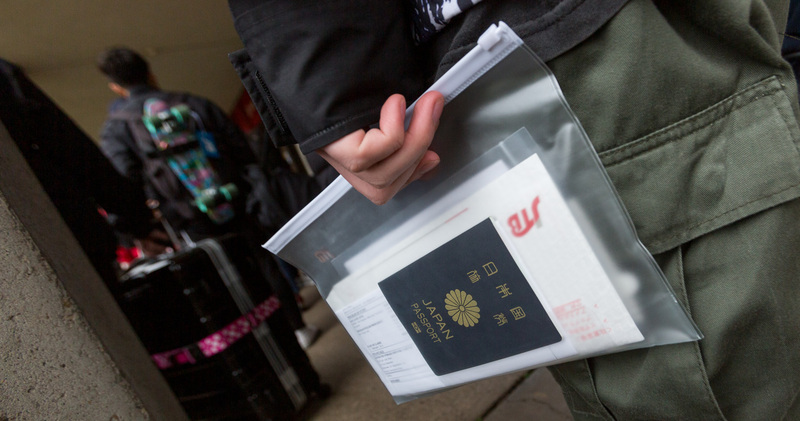 “I hope this experience will change their lives,” said Masaki Shimada, Tokyo International University of America (TIUA) director of student affairs. 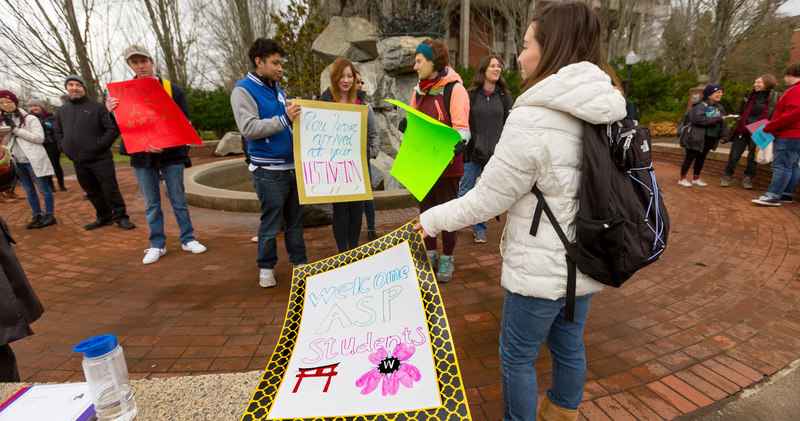 This year marks the 30th anniversary of the ASP at Willamette University and TIUA. 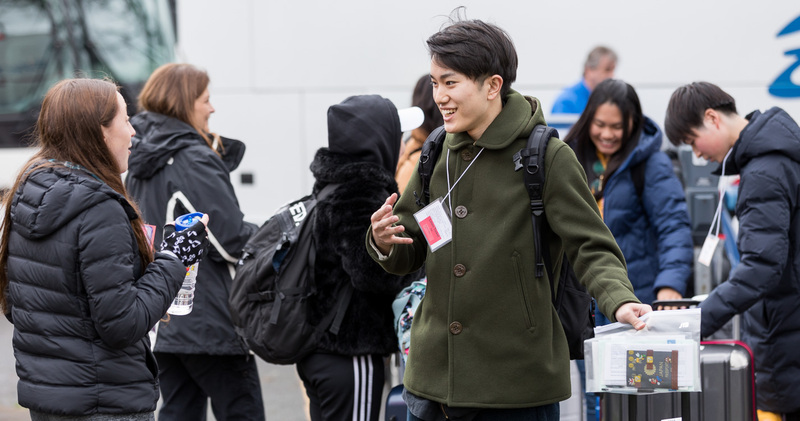 This year’s cohort includes 96 students from Japan, Brazil, Malaysia and China. 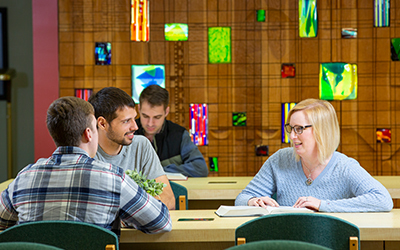 They represent five different TIU schools: Language Communication (55), International Relations (26), Human Social Sciences (2), Economics (5) and Business and Communication (8). 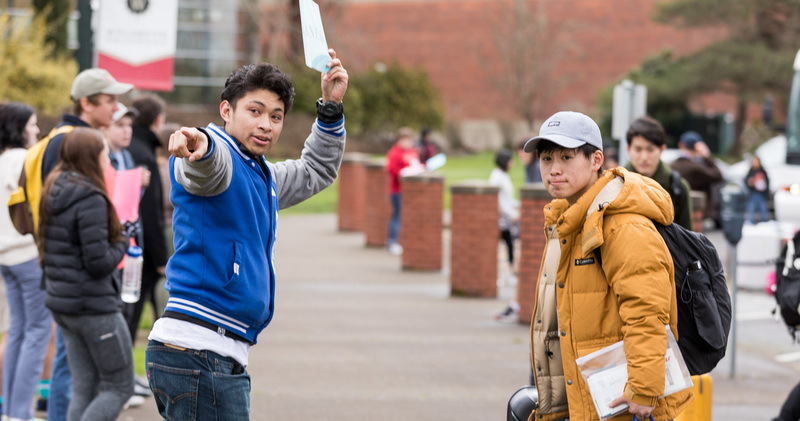 During their year at Willamette, ASP students will study English and learn about American history, politics, society and culture. 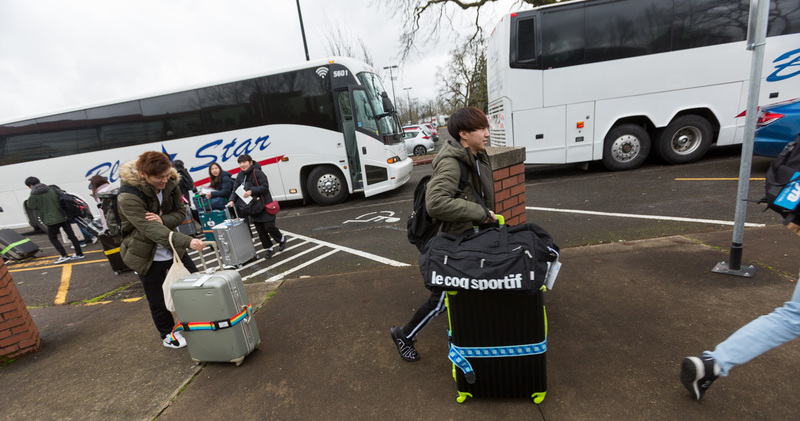 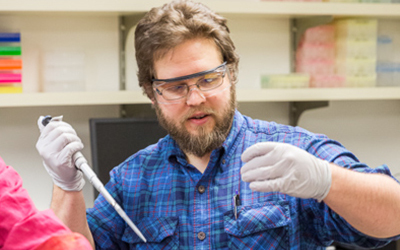 They’ll live, study, take classes, dine and socialize alongside other Willamette students. 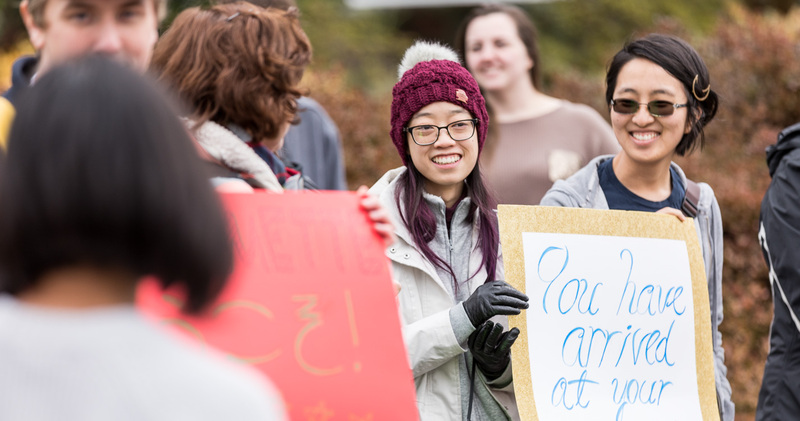 Megan Canniff ’19, ASP international peer coach — similar to an Opening Days leader — encourages community members to help orient ASP students by engaging them in their everyday lives. 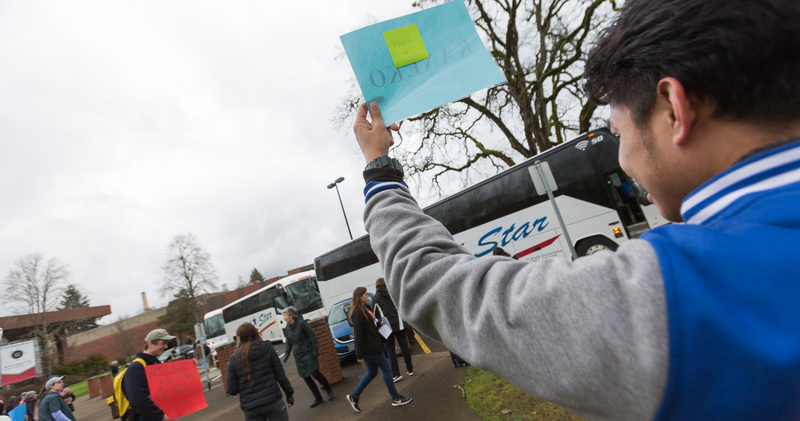 “The easiest way to get involved is just talk to them, because they’re nervous about being here,” Canniff said. 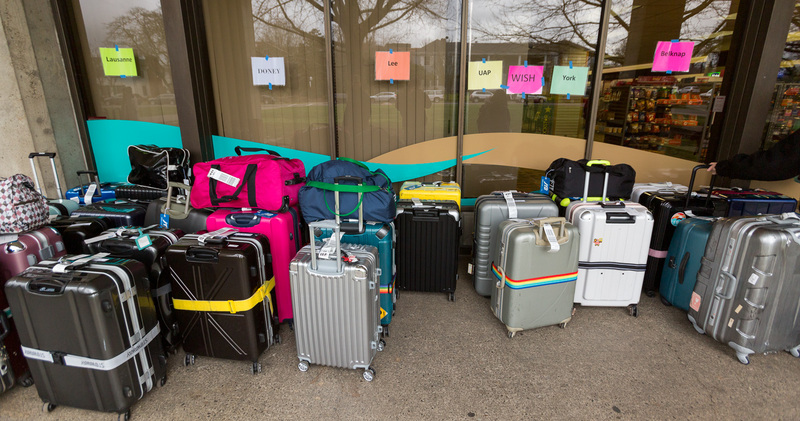 Monday’s welcome was just the first opportunity for the campus community to help ASP students feel at home and make the most of their time in Oregon. 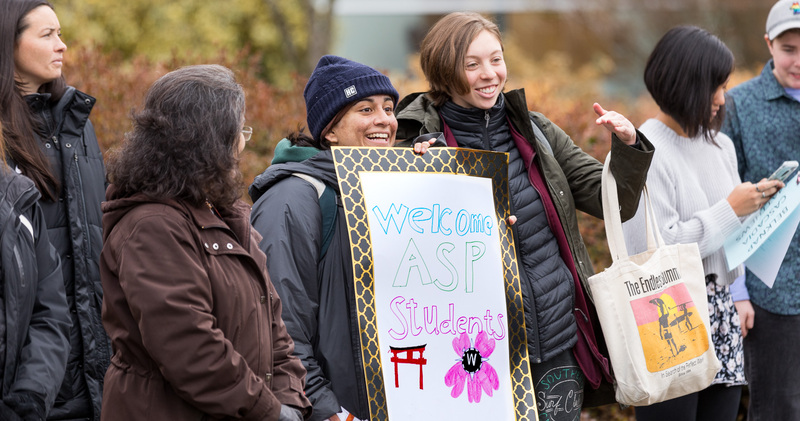 Willamette students, who are interested in leadership development and cross-cultural engagement, are encouraged to apply for jobs at ASP on Handshake. 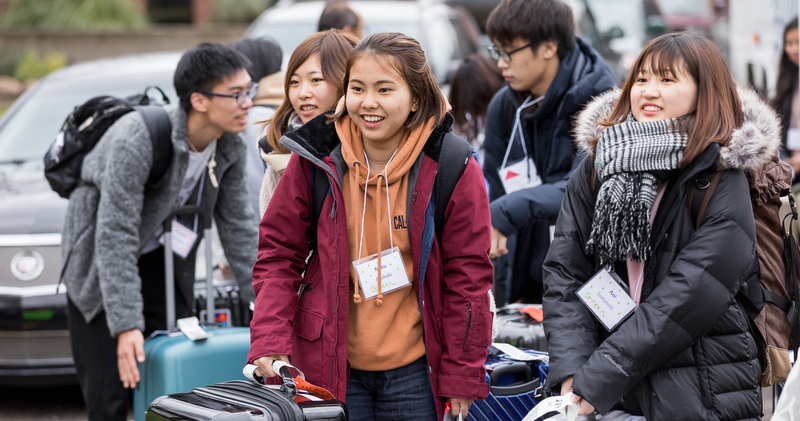 Positions include international peer coaches, academic peer tutors, summer programming coordinators and international program assistants. 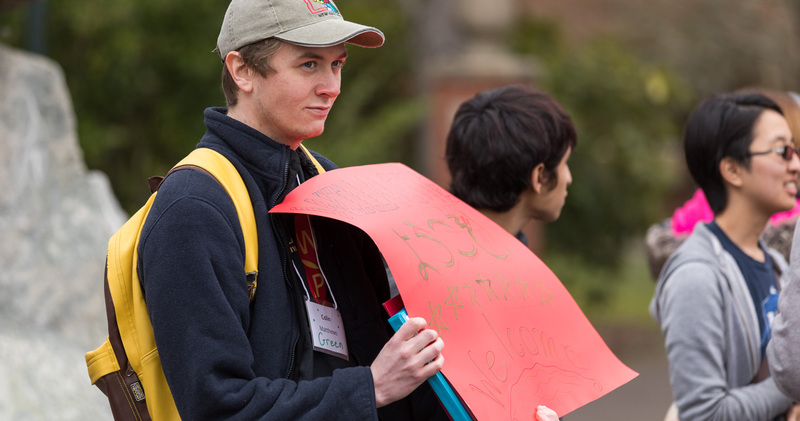 For information, contact Sarah Shinn, TIUA associate director of student life. 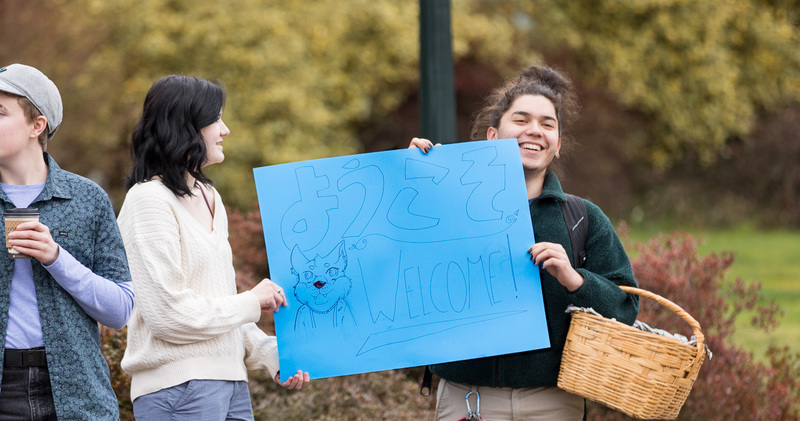 Staff and faculty can join the Tomodachi (Friendship) Program, in which “friends” host ASP students about once a month for everyday activities, holidays or special events. 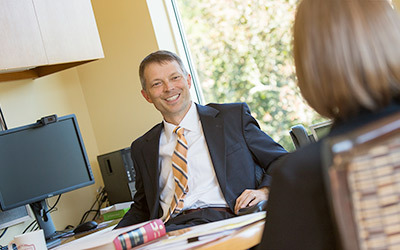 To learn more, contact Barby Dressler, TIUA director of university relations and special programs. 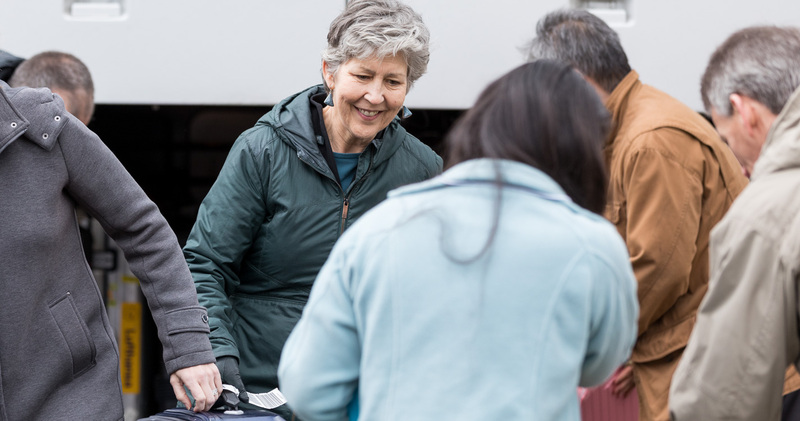 Keep an eye on the Willamette Bulletin and events calendar for future festivities celebrating the ASP’s 30th anniversary.